The Summer months are always creatively slooooooow in my house. As the Fall approaches I always get back into a creative mode, but for now we are enjoying the lazy summer days. The ladybug and little guy fell in love with the beach this summer. I've been seeking ways to preserve our beach adventures. I love the colors of this mini album, especially the yellow and blues. Love the doily on the front. This is just the most precious beach themed mini garden. HERE you can find a similar idea, but for the kids. We always filled mason jars with sand and shells we collected. I'm loving these sand crab treats. She always comes up with some cute and creative treat! These sandal cookies are too fun not to make. Etsy never disappoints either. 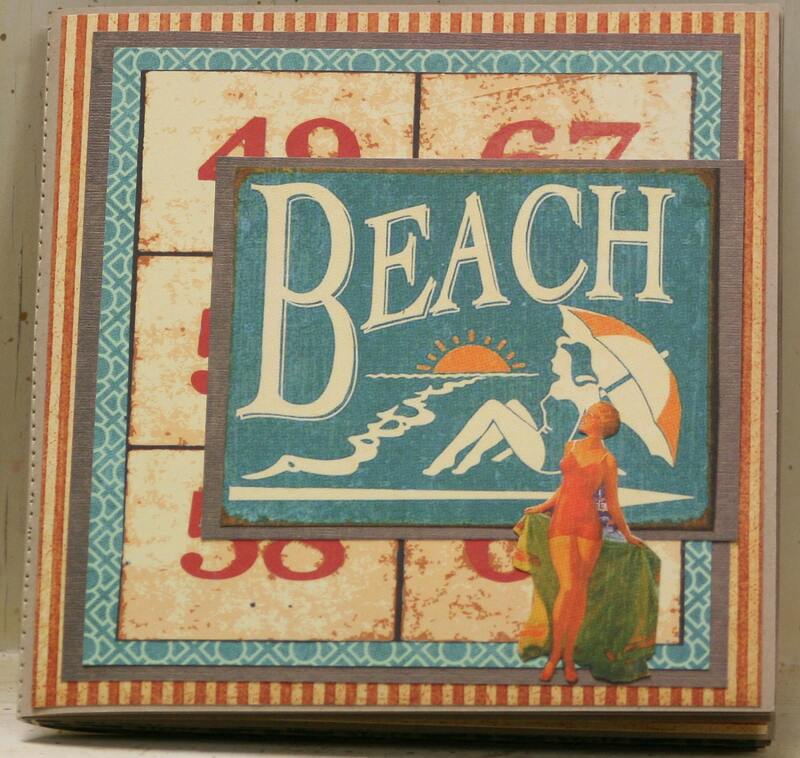 This is a premade beach mini album. Any great beach ideas you'd like to share? I'd love to see them! Thank you so much for including my sand crabs among all the great beach inspiration!